Knopf Books for Young Readers, 9780553511574, 40pp. 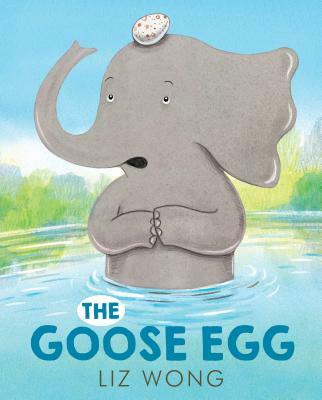 From the author of Jumpstart's Read for the Record pick Quackers comes the story of Henrietta the Elephant, whose life goes from calm to chaotic when a baby goose comes to stay. Henrietta likes her quiet life. A morning swim, a cup of tea--all is serene. But everything changes when she bumps her head and winds up with a goose egg--a REAL goose egg. Henrietta tries to return the baby goose to the nest, but her flock has flown. It's up to Henrietta to raise her. Goose isn't anything like Henrietta. She's flappy, and noisy, and exhausting. But Henrietta raises that goose right. She teaches her to swim, and to honk, and to fly. When Goose flies off with the other geese, Henrietta is so proud! LIZ WONG was born in Honolulu, Hawaii, where she spent her early childhood painting and clambering about in mango trees. She is a painter and a freelance illustrator, with a focus on illustration for children. To learn more about the author and her work, visit LizWongIllustration.com or follow her on Twitter at @LizWongart.